Kari is a St. Louis native who has several years experience as a sports performance coach and personal trainer. 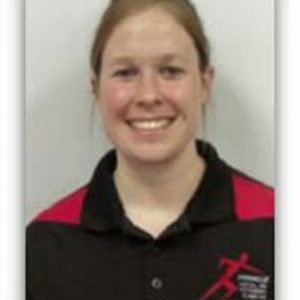 She began her career as an intern for the HIT Center and then as a Graduate Assistant Strength and Conditioning Coach at Lindenwood University. Kari also has experience as a College Instructor in Health and Fitness Sciences and as a Personal Training Certification Course Instructor. She specializes in high intensity training and strength and conditioning programs. She has experience working with diverse populations including collegiate athletes, disabled athletes and general population. Kari loves being a mentor to inspire and motivate her clients to reach their highest potential.